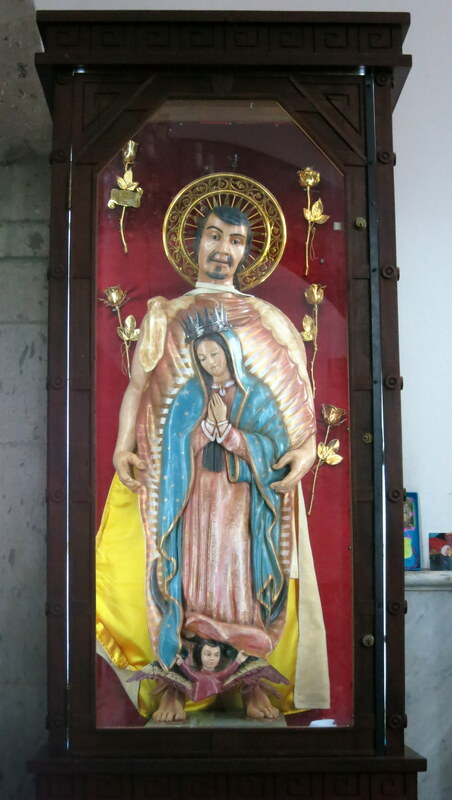 I didn’t grow up knowing St. Juan Diego the way a lot of other Cradle Catholics did. In fact, I actually learned about St. Juan Diego from a show called “Wishbone.” The episode was called Viva Wishbone and centered on the main character, David, learning the story of Juan Diego from his Mexican nanny. David wanted to get a good present for his mother for Mother’s Day, especially when he feels like his mother likes one of his friends more than him. However, through the story of Juan Diego, David learned what it means to be devoted to one’s mother. Juan Diego was a simple man and showed his devotion to Our Lady in spite of the local bishop’s skepticism. The only time he strayed from his mission to please Mary was when his uncle was sick. However, Mary assured him that everything would be okay. Acting on faith, Juan Diego went up to the hill where a mass of flowers bloomed in spite of the winter cold. After gathering the flowers in his tilma, he took them to the bishop. 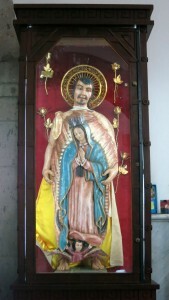 As he unrolled his tilma, the image of Our Lady of Guadalupe appeared. Juan Diego spent the rest of his life taking care of the shrine. If you’re curious, check out the episode of Wishbone on YouTube. I’ll tell more about how amazing Our Lady of Guadalupe is later this week.